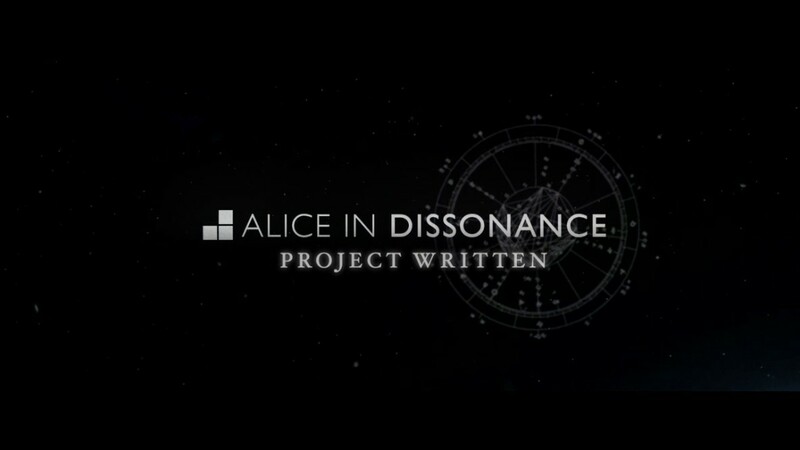 Sekai Project brings us the first project from ALICE IN DISSONANCE; fault milestone one. 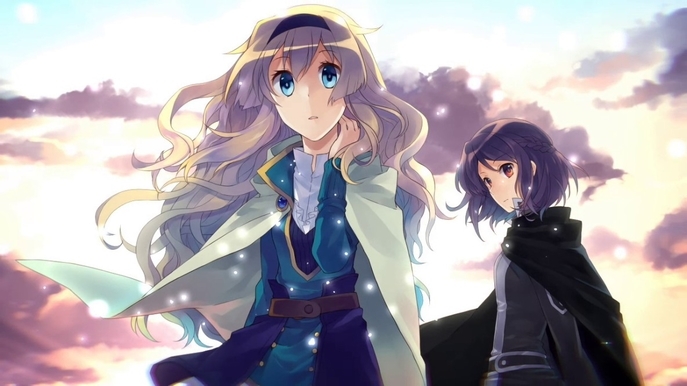 This Visual Novel features an adventure involving a princess and her royal guard as they flee from the terror that was brought upon them, and their kingdom. To make things simple, the kingdom is called Rughzenhaide, where Princes Selphine Rughzenhaide gets hunted down by Koko, a sorceress that is called by the game a “manakravter”. Koko gets in the castle to try and find Selphine, later she confronts the princess’ guard Ritona who uses the melee magical abilities to disrupt Koko’s range casting skills. Nevetheless, Mahrie comes to aid Koko by disabling Ritona’s sword, forcing her and the princess to escape via a teleportation spell that takes them far away from the castle. Both lost and Ritona drained of her powers, they seek wisdom to what happened and venture on to return to their homes, discovering Kadia, a large city with curious folk and meeting with Rune, a strange clumsy girl who aids them as their guide. Wait! Who exactly are all these characters? 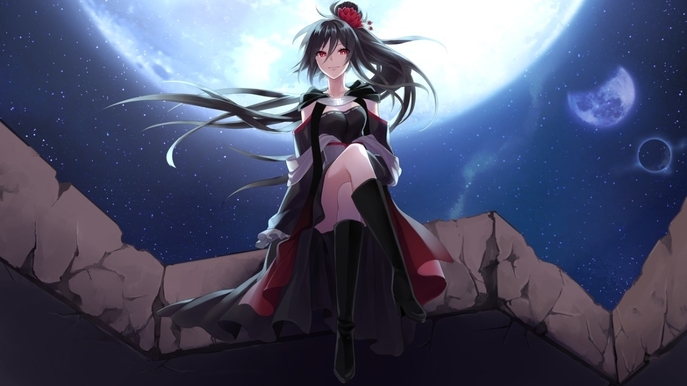 Selphine Rughzenhaide is the heiress to the Kingdom of Rughzenhaide, she has inherited manakravte due to the ability of The Path-Down, who bestow the experiences, memories and wisdoms to present kings. Ritona Reighnvhasta is Selphine’s royal guard and friends since childhood. She is skilled in the art of Manakravte as she could use potent spells at an early age. She specializes in dualkravter, Terra and Pyro manakravte, with this she can forge bladed weapons from the mana of her surroundings. Rune, a resident from Kadia City, is a clumsy yet friendly girl. Her personality causes a lot of interest and suspicion to Ritona. Koko is a manakravter with an attitude. She works under Melano’s orders yet shows a lot of confidence during battle which at times leads her to a disadvantage. Mahrie is also in Melano’s party as Koko’s partner. She has great intellect and with remarkable skills. Sian, also involved in the Castle assault working for Melano. Her tasks usually involve gathering intelligence. Melano, the evil woman from the story. Her followers mostly respect and fear her. Okay, but what’s with all this magic mojo? Basically, mana (the game’s favorite word) comes in different elements such as Aero, Aqua, Pyro and Terra. People who manipulate them are called Manakravters. Most spells are focused on the creation of strengthening of objects, some are even for battle for the subgroup of battlekravte for weapon forging. Not only this, but the whole continent has developed a communication method thanks to this magic called commkravte as a way for diplomacy. Usually using mana is a burden and regenerates slowly, so they came up with the idea of using sedimentary stones which store purified mana, these are very common near the royal area but very precious on the exterior segments of the kingdom. 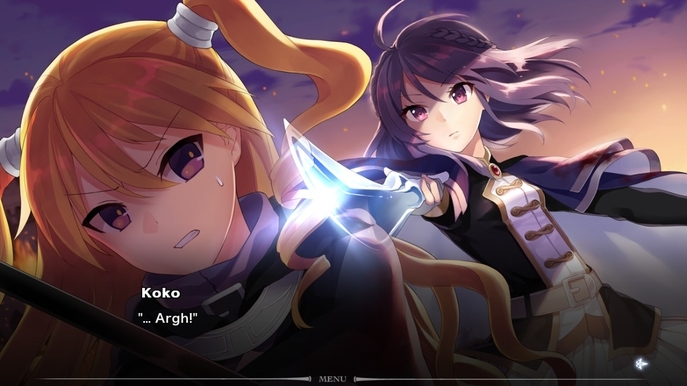 The game offers plenty of settings to mess around with, mostly for a VN its just text speed, but you can also mix the audio and change the language from English to Japanese or vice versa. 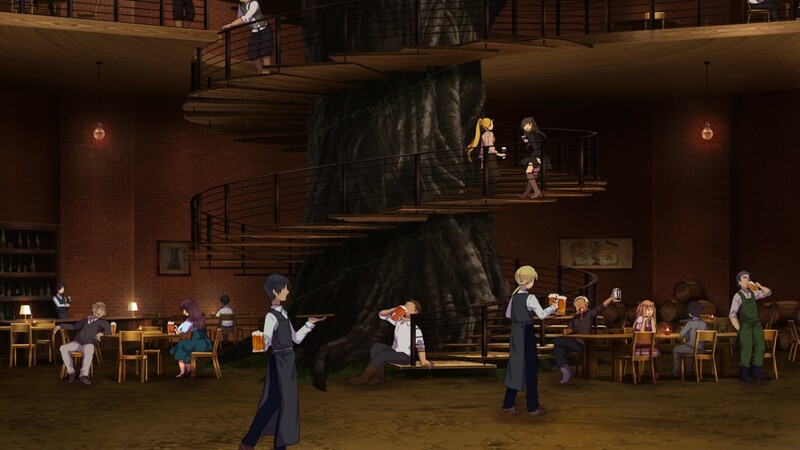 Most Visual Novels involve a regular story with anime girls and romance. 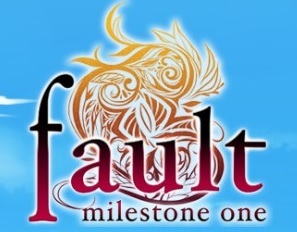 In fault milestone one you get a whole different perspective, a world filled with fantasy and magic, and anime girls of course. Action events are displayed with interesting illustrations, portraying the text descriptions of what is happening in fun and dynamic ways that keeps the reader interested. Unfortunately there are way too many plot dumps; this causes the pace of the story to slow down immensely at times. You get your action sequences with great FX and sound clips, and now you have to read many lines of dialogue explaining things that aren’t very necessary. Some of the explanations given by the characters can be showed in different way instead of just more dialogues. Fortunately there is an Encyclopedia which suits this issue more or less but you should be able to pause and read the lore somewhere else instead of breaking the pace of the story. Also the whole idea of characters getting impressed by the abilities of others can get tiring up to a point, it’s as if each one was a manga protagonist or something, as well as probably too many spells with names I can’t really pronounce, yet the first part of the name should give an idea of what it does. As for good points, my biggest surprise was to encounter a very shonen intro, not making you into a first person perspective character, but as an audience who watches characters being introduced, and later watching an anime-style Opening! The visuals look great for each character, with good shading, a nice color palette and interesting designs for clothing, equipment and hairstyles. I would of enjoyed better designed backgrounds though, as they get repetitive and look very generic at times. Their proposal for this fantasy theme works like a charm, mostly giving characters a specific theme to illustrate their personalities or presence. The game offers some special sound FX during some scenes but then it stops for a long time, almost as if the first battle was the only one with an immersive experience and now you have to wait and just read through more dialogues until something as incredible as that happens again. I’m also not a fan of what VN do with music were they loop it until you progress, but I suppose these are technical matters that require much tweaking to work around. The game has 8 Chapters, around 7 hours of gameplay. It’s a story filled with mysteries from the very beginning, also opposing forces and a struggle between good and evil. Putting aside the pacing issues, it’s a well written story with a good narrative structure. Would I want to see more of this style come to place? Of course! 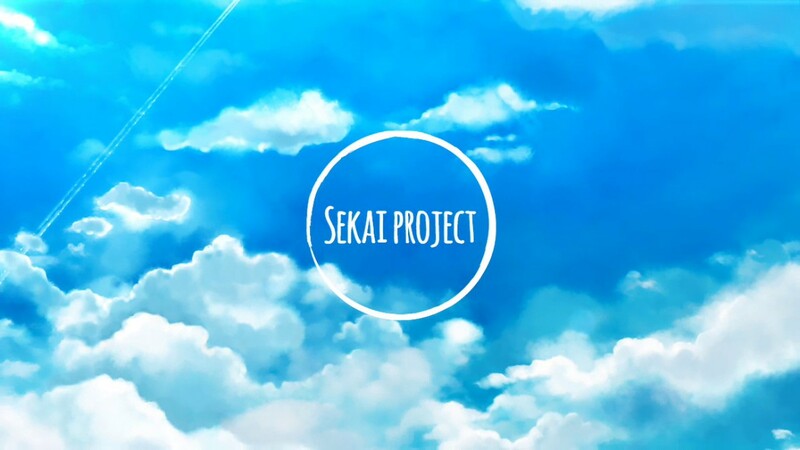 These themes have a lot of potential due to the vast imagination that can be added to them, also going outside the box of regular romance VNs and what not. 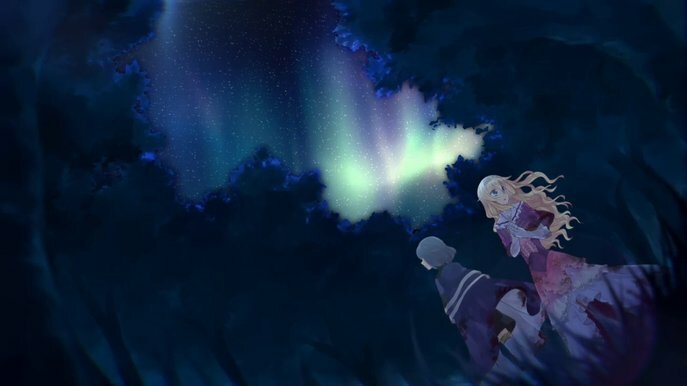 fault milestone one is highly recommended for VN fans who want to see something new and want an action anime vibe to it.